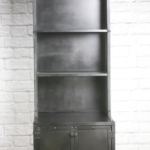 This piece is our modern industrial retail cabinet and shelving unit. 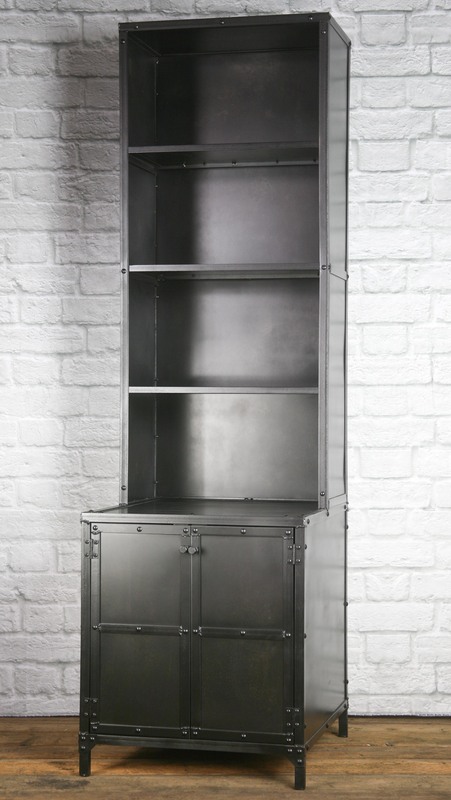 The sleek design could fit any modern boutique or vintage style retail setting. 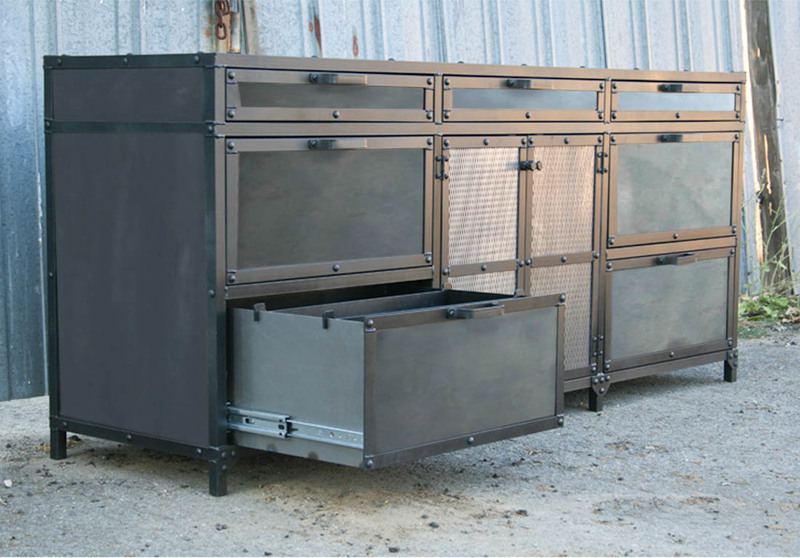 When used as a retail fixture, the small footprint does not take up valuable real estate in your establishment! 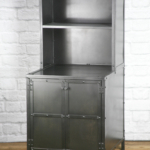 It is handmade by us and can be made in any size or configuration imaginable. 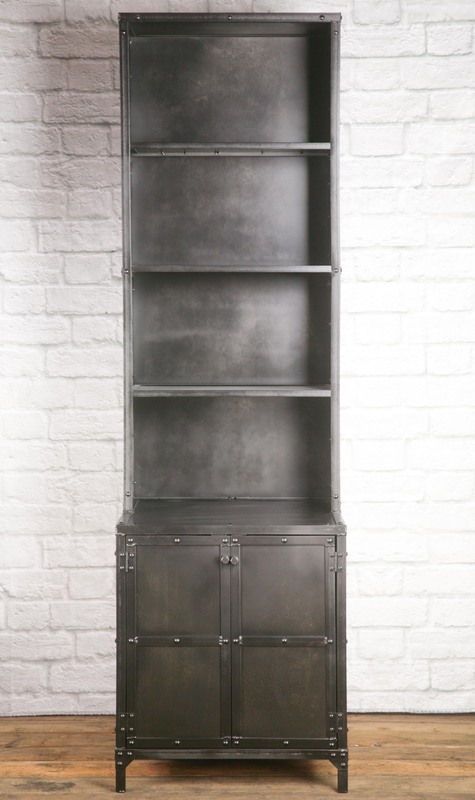 The lower cabinet area measures 24” W x 27 ¾” D x 27 ¾” H and is ordained with vintage industrial rivets. 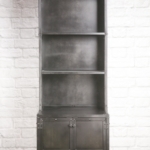 We have treated the sides and doors of the piece with a chemical patina that gives it its neutral dark color that matches any décor. 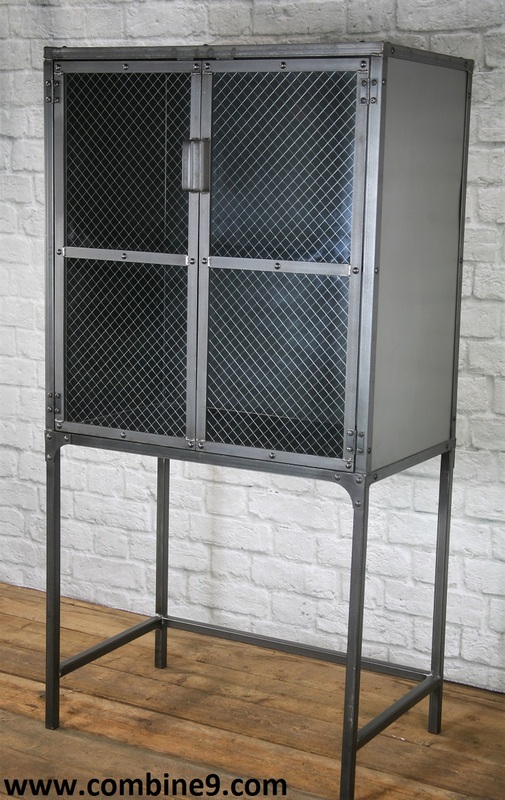 The doors could be made with a mesh face or one of our beautiful reclaimed woods. 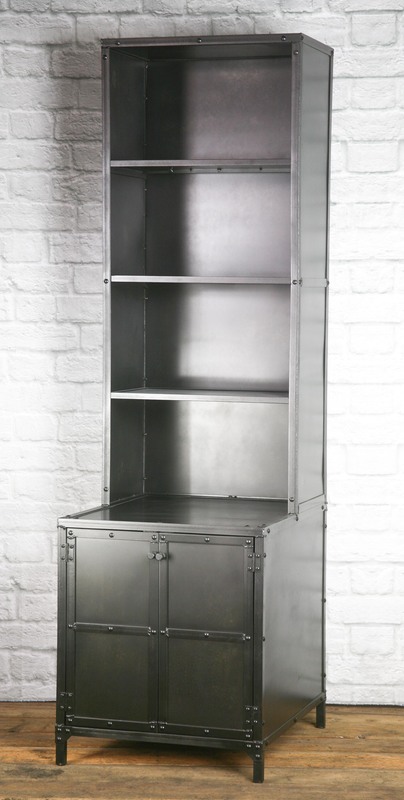 Behind the doors is a fixed center shelf, but it could be made with a removable shelf, none at all or a vertical partition. Locks could also be installed to keep your belongings safe. 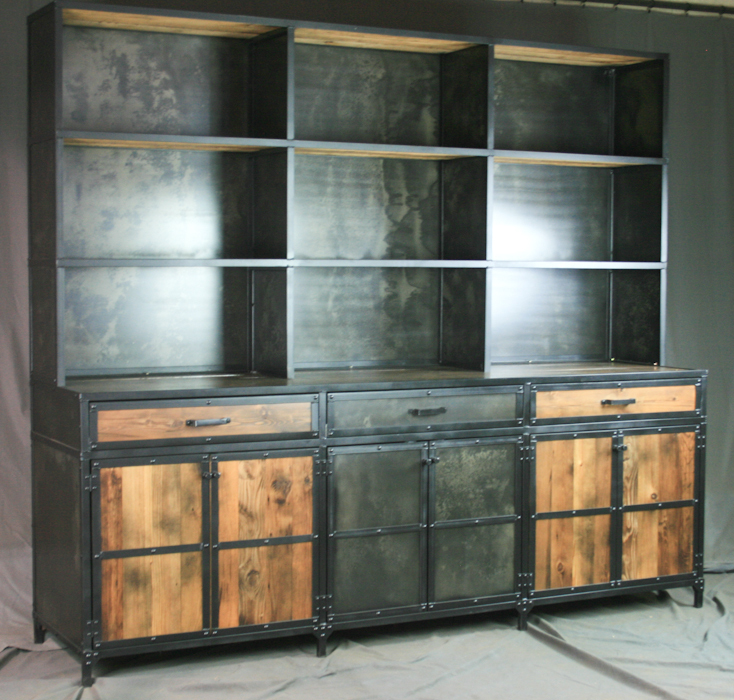 The upper hutch has been designed with three removable shelves to display your wares, but more could be added. 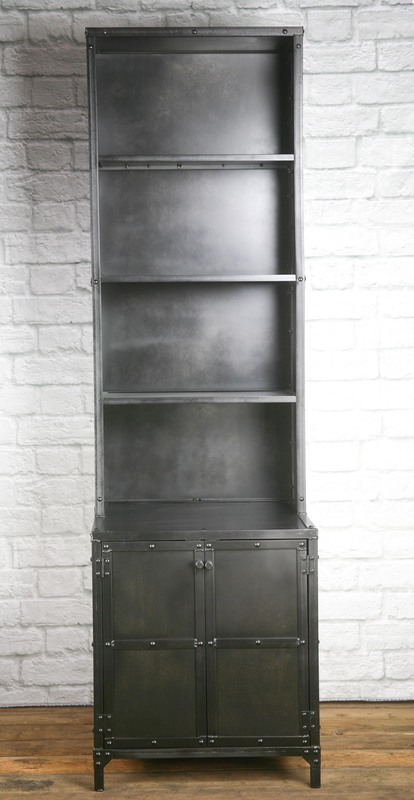 The hutch measures 24” W x 14 3/8” D x 54 ¼” H. The shelves are spaced at 12 ¾” and could also be made fixed or adjustable. 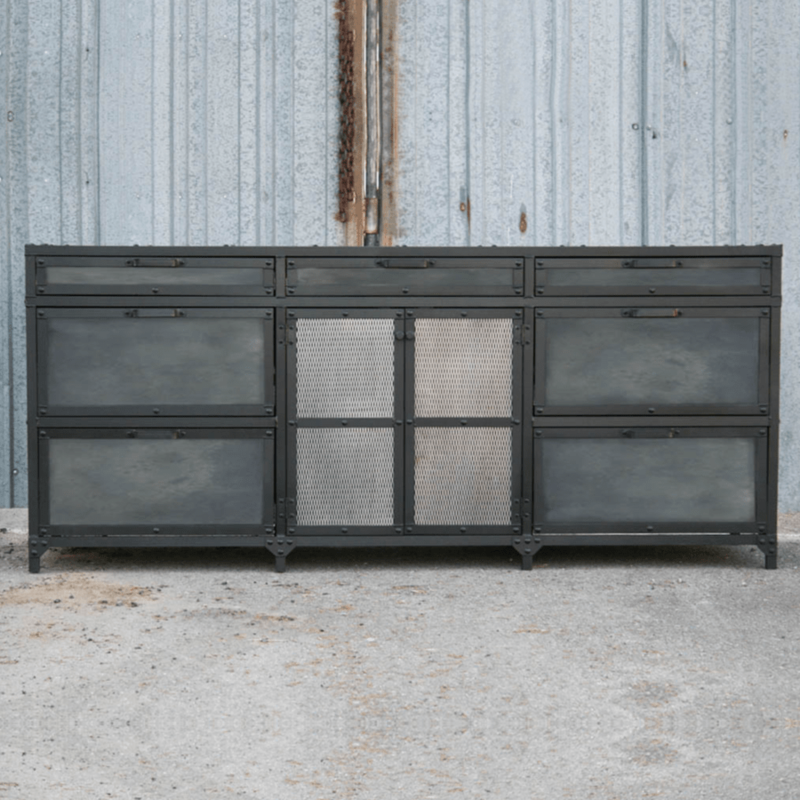 The sides of the hutch are constructed of the same durable steel, but could be made with new or reclaimed wood (stained any color you like), or mesh for more visibility. 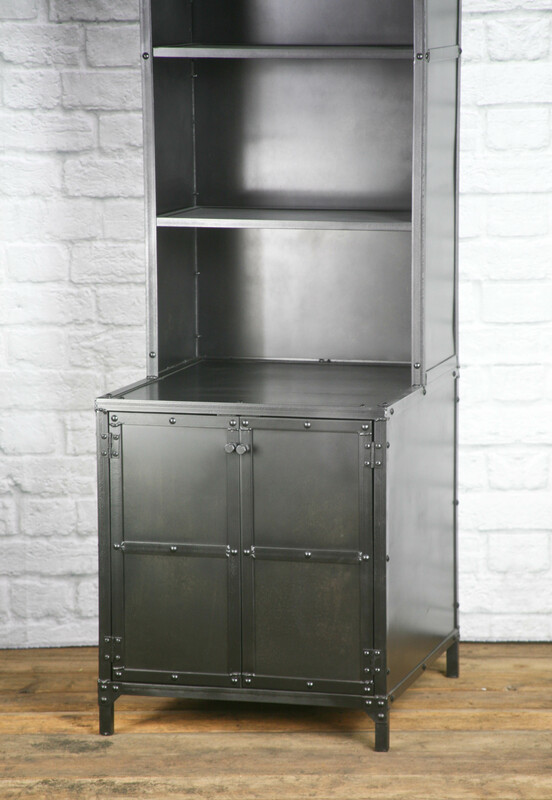 Doors could also be added to the hutch to make it a cabinet area, with options including solid steel, mesh, and glass. 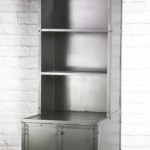 The back of the unit is decorative, so it could be used as the centerpiece of your retail store. 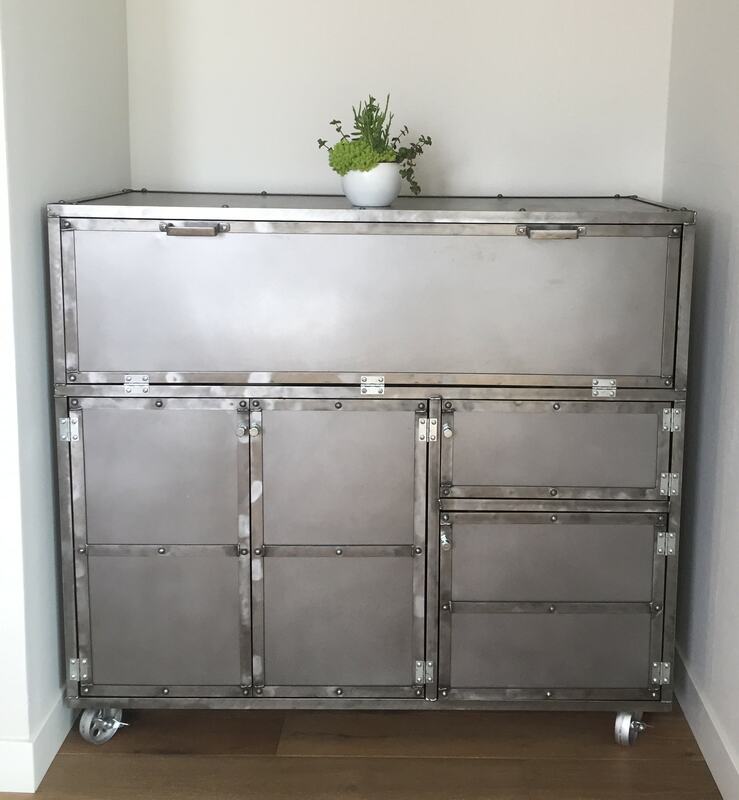 The back paneling is solid steel, but holes could be made in the back at no additional charge to accommodate power cords for LED lighting. 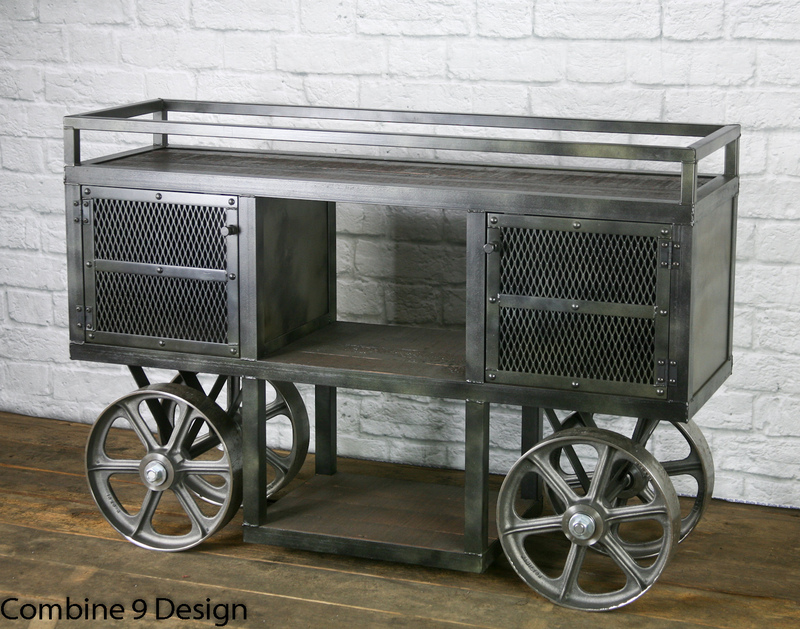 This unit is made with straight legs but could be outfitted with casters for a mobile industrial retail fixture that can continue to adapt with the dynamic of your establishment. 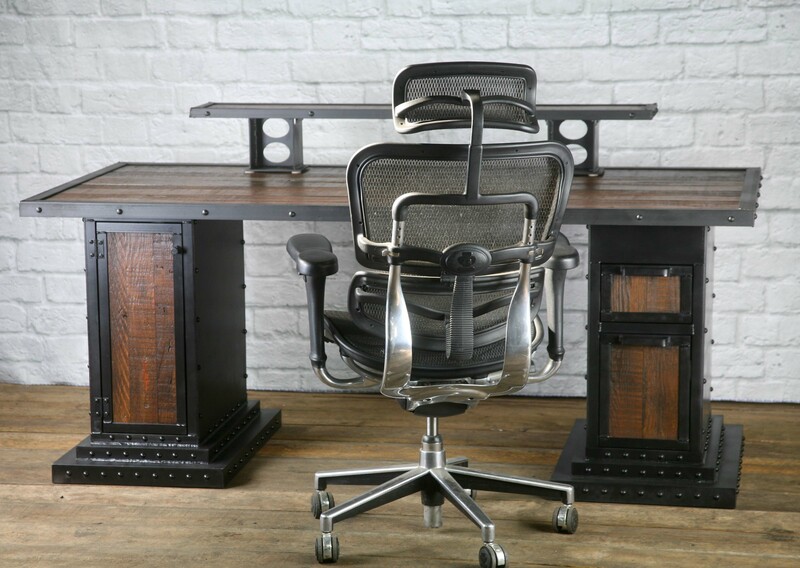 ** All rights reserved; Combine 9 Design, LLC.